‘PowertoSwitch’ is an independent, impartial and free service giving you control over your energy choices. ‘PowertoSwitch’ provides information and advice on energy issues and helps you work through your options. Our aim is to help people take control of their energy costs – too many people remain confused about the energy market, the deals available and are nervous about switching. Why Developed and by Who? ‘PowertoSwitch’ has been developed by Aodhan O’Donnell who has extensive experience workingon behalf of consumers and within the energy market. Aodhan previously led the Consumer Council for Northern Ireland in its work to support consumers and manage the organisations role in relation to energy issues. ‘PowertoSwitch’ is about helping people get a better deal – with a range of tariffs and suppliers to choose from there is no need to pay more than you have to or put up with poor service. 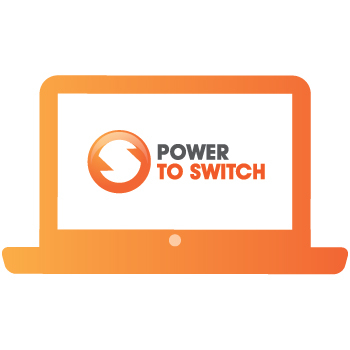 ‘PowertoSwitch provide information and advice on energy issues and helps you compare across all suppliers and tariffs. We can help you find the best deal. 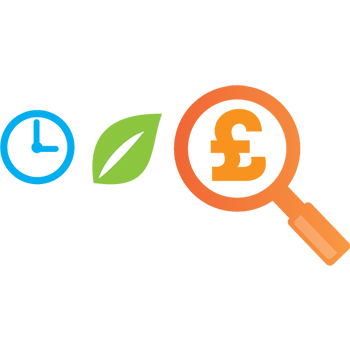 We take away the hassle of searching the market and calculating the costs for each deal because we compare all suppliers, tariffs and offers available – finding a better deal could take less than five minutes. Switching could save you money but we don’t put any pressure on you to switch. We don’t mind if or who you switch to, we just want to help you find the right deal for you. And if we can help you be reasured that you are already on a good deal this is great as well. ‘PowertoSwitch’ wants you to feel informed and in control of your energy choices. We have information, guides and advice on a range of energy issues including energy grants and energy efficiency. PowertoSwitch asks for some basic details on your current energy use and supplier. This allows us to compare all other available suppliers and tariffs to see if you could move to a better deal. The service also helps oil users to compare the difference in cost to heat their home with gas as opposed to oil. It also allows people to check if their home can get connected to natural gas. The electricity and gas price comparisons use the information you provide to identify your annual energy usage and cost. This is used to calculate comparative quotes using all other available tariffs so you can easily compare these against your current deal. All calculations are fully impartial and are calculated on a true like-for-like basis. From the details of you current energy supplier, current tariff, current payment method and current consumption we calculate the annual bill that you will pay with your current supplier based on their latest prices. If you do not know your annual usage in kilowatt hours, but know your approximate annual gas bill or your electricity bill, then we will use this bill information to calculate your annual energy usage based upon your current energy supplier’s latest prices. If you do not know, or cannot obtain, details of your usage or annual bill, then you can use one of the usage profiles provided. Its important to note these are average figures and will not be as accurate to your specific needs as providing your usage or spend on energy. From the calculated usage figure we then compare the bills that you will pay with your current supplier with the energy bills that you would pay with the other energy suppliers and energy tariffs available to you based upon your payment and tariff preferences. The estimated savings are calculated by subtracting the annual cost of the new tariff from the cost with your current energy supplier and tariff. If you are on a fixed-term tariff which comes to an end within the twelve months, which is the basis of the comparison term, it is assumed the consumer will take no action and would be rolled onto their current suppliers standard tariff. Introductory or ‘one-off’ discounts are not included, nor are charges that may be incurred if a plan is cancelled or altered. If there is a one-off incentive for signing up to a particular product this will be shown in the special offers column of the results table. Were a tariff offers non-cash incentives we show details of the particular offer separately, but we do not put a cash value on any such incentives. It is also important to note the consumer may incur a terminations (exit) fee if switching to a new supplier/tariff. It is important to note that the comparison provides an indicative annual cost and saving (if a saving is available). Your actual usage may differ and any saving should be seen as an estimate or guide rather than an absolute amount. The ‘oil to gas’ comparison compares current household spend on home heating oil against the equivalent spend for gas (and factors the increase in energy efficiency from a new condensing boiler). The user provides details of annual oil use (litres) or spend (£). The comparison converts the amount of oil used in litres to kWh by applying a conversion factor to the amount used and then allows for the efficiency of the boiler (i.e. 60% based on WHICH estimate than an old boiler (classed as 15 years or older) to be between 55 – 65% efficient). The associated cost in gas is derived by calculating the equivalent energy requirement in gas (kWh) against the average price for natural gas. The average price for natural gas used in the comparison is an average tariff rate. This rate is an average of all available domestic tariff rates available across both the firmus energy gas network and Phoenix Natural Gas network. The cost of oil used in the calculation is an average of the weekly prices collected by the Consumer Council for Northern Ireland for a 300l, 500l and 900l fill. The improvement in boiler efficiency is also factored into the comparison. The total cost of oil is compared against the total cost of gas to provide the differential between the two energy sources. The calculation is indicative only and is based on the current spend on oil – it does not factor in house size or energy efficiency of the home. The comparison has been developed in conjunction with South West Regional College. Its based on the methodology applied (and published) by the Consumer Council for Northern Ireland in their ‘Oil v Gas’ report (May 2013). Can I trust your information? Yes, Power to Switch monitors all the suppliers continuously and ensure all the tariffs, suppliers and deals are accurate and up to date. 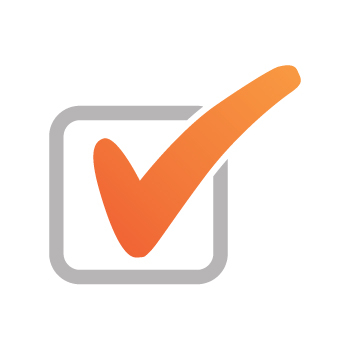 When new deals or offers become available we make sure these are reflected in the comparison tools immediately (we can even alert you to when new deals or offers become available). Does it cost me to use ‘PowertoSwitch’? Power to Switch is free for consumers to use and always will be. We do not act as a direct sales agent for any energy company. Some energy companies may pay a ‘Referral’ or ‘Switch’ fee if you use our service and then decide to switch to that company via our site. Any fees we receive keeps the service free for you but has no influence on where suppliers or deals appear in the search results.